Of course Apostrophes (Ah POSS tro feez) was an ancient Greek in Rome – he was always old, pedantic and forever arguing that the rules were to be obeyed. Apostrophes is famous for arguing in favour of rules that were clearly out-moded and in need of change. Only those who knew well his sense of humour recognised that he believed heavily in reductio ad absurdam and hence was arguing simply to make it very clear that the rule he was apparently defending was clearly in need of reform. 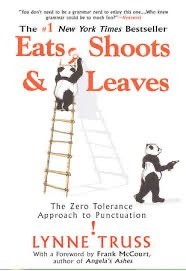 Lynn Truss wrote an excellent little treatise on the topic of bad punctuation, Eats Shoots and Leaves. ¹ This should be included in all GCSE English Language courses (first language, that is). I said I’d deal with the Jones’ case tomorrow; ‘twas a false hope. There’s many a slip. I dealt with the Joneses’ case yesterday. All the grades were As, but the HM’s comments were unreliable. Those CDs are Annie’s, not James’. St Andrew’s church fete is next week. One suspects St. Andrew won’t be there. St Bartholemews Hospital has a few problems with ownership, such that its names are confusing. The name’s confusion is either St Bartholemews’ or St Bartolemew’s. One isn’t clear. Let’s deal with contractions first, ‘cos it is the simplest to cope with. In speech, which writing occasionally needs to follow, we tend to drop letters and we do this with sufficient frequency that it eventually becomes accepted that there is a new, contracted word. it’s can replace it is, “It’s a boy!” Doesn’t (not does’nt) replaces does not. Similar contractions would include should’ve, haven’t, you’d, we’d, we’ll, they’ll and so on. That man has a dog called Butch. Butch is the man’s dog. The dog is owned by the man. Butch’s owner is Mr Phillip. Mr Phillip’s house is red brick. His house’s chimney has a non-matching pot. Ownership as possession. There are problems when the name or label of the owner ends in s and when the owner is already plural. I note a special case with abbreviations. If my class has a load of A grades, were there lots of As? Or do you prefer lots of A’s? How many incidences of the letter i are in the name Mississippi I can’t write that this is quite a lot of is, you will misunderstand, so perhaps I should write i’s, or ‘i’s? If my writing of the letters a and u is very similar I cannot communicate by writing “My as look like us”. Perhaps writing about single letters is a separate issue, because we’re referring to the label not the meaning, rather as in computing where there is a marked difference to the treatment of an item of data and the place where the data is held. I’v ebeen using colour to so indicate. The situation is easier as soon as we have more than one letter. For all of these, simply add an s: CDs, MPs, NGOs and so on. I declare that (in my opinion, backed up by quite a lot of reading on the topic), CD’s, MP’s and NGO’s is an exhibition of the grocer’s plural and so wrong, So very wrong. This apostrophe would be right only with possession: Those are the MP’s gloves, that is the CD’s cover, that is the NGO’s problem. Do we have a similar situation with words whose plural we rarely see? Do you have a problem with dos and don’ts? Do you feel the need for the pointed extra helpful apostrophe to mark the incidence of the rare so that you need a reference to do’s and don’t's? I say the latter pair is wrong, even if commonly written. I see a trend that excuses the grocer’s apostrophe for the unusual cases, but I also see that as an extreme cop-out simply forgiving the host who cannot be bothered to do punctuation correctly. Ever. And that recognises that many dislike my version of punctuation; sometimes I prefer to use less punctuation so as to maintain multiple possibilities. At this point, most writers will go refer to their style guide. If they work for a publisher of some description, there will be a standard, ‘house’ style guide. Students of American English courses (that’s both English in the US and their special version of the language) will have studied some, to them famous, guides, not all of which make a lot of sense. I would prefer to follow Apostrophe’s argument and find what communicates my meaning best to a reader. This is where I find there are problems galore, made worse by there being disagreement what the rule is and what it should be, confused further by the process that says that what the majority use—even if incorrect— must be declared to be correct. I say that is wrong, unless you wish to agree that if we all drive at 80mph on British motorways, this will cause the speed limit to change. Not so. There are some cats. They have a mass meal, which is therefore theirs, possessed by them. 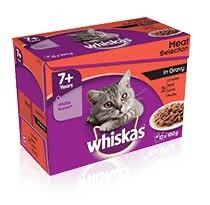 It is the cats’ meal and it may even be the cats’ Whiskas. Mr Scoins has some running shoes. They smell so bad no-one else would possess them. They are Mr Scoins’ shoes (say I, but some would argue that they are Mr Scoins’s shoes) I say Mr Scoins’ pen, his car and all the Scoins’ possessions are written in the simpler form. I may be able to choose, since it is my name. Keep going, though. If there is a scoinsfest, an occasion at which many members of the family are gathered, then you can be sure there is competitive argument (called vigorous discussion, up to the point when someone loses their temper); these are the Scoinses’ activities (say I), because the possession applies to a plural set of Scoins, not an individual. That (to me) makes sense and communicates the distinction between singular Scoins and plural Scoinses. The neighbours then must decide whether the family unit is singular or plural, in referring to the noise of the Scoins’ lawnmower or that of the Scoinses’ brass playing. I think this makes sense. Similarly I think Texas has weather; Texas’ tornados are pretty fierce. My teaching class has algebra homework; I think it is the class’s homework, owned by that class. But all my classes think I set too much homework. That, say I, is an issue with the classes’ homework, owned by all the classes. My sheep has been losing his wool. There is sheep’s wool on the fence where he has rubbed an itch. My sheep have been losing their wool. There is sheep’s wool on the fence where they have rubbed. There is another case, of which I have written in the past, to do with places such as St Thomas’s Hospital, or St James’ Park. Indeed, as I observed in the earlier essay, we have St James Park, the metro station in Newcastle, beside St James’ Park, the football ground for the club and quite far away from these we have St James’s Park, one of the eight royal parks in London. These are names, names which include apostrophes (or not). Names don’t have to follow other rules but, once formed, are used as nouns. In particular, be aware that these can easily be company names and as such must be spelled correctly - i.e. spelled the way the company does.There was a fire at the metro station in June 2014, while the local paper continued to conflate the ground with the nearby station, it was the St James metro’s fire, not the St James’ stadium’s fire. Part of the story here, with correct apostrophes. 1 This panda goes into a bar, has a meal, casually shoots the barman, and saunters out of the door. When eventually caught (or caught up with), and asked why, the panda explained that he’d been reading up on panda behaviour and the article said “Eats, Shoots and Leaves”. So he was performing exactly as expected. 2 The test to apply is whether the end of the noun is sibilant. If so add +es or +s if the word already ends in -e. Otherwise, simply +s. Nouns ending in -o collect either +s or +es. Generally the +s applies to words of foreign origin, especially Latin. There are issues with words ending in voiceless fricatives: knife, knives; life, lives; but proof, proofs and some are becoming nationalised. I think the plurals of roof and turf might have been rooves and turves to my grand-parents, but will be roofs and turfs to my grand-children. There are many special cases, often reflecting the habit of English as a language to collect words from other languages (and therefore to adopt that language’s plural too). I observe that +craft for transport are singular and plural. Read the wiki article, for it is quite thorough.